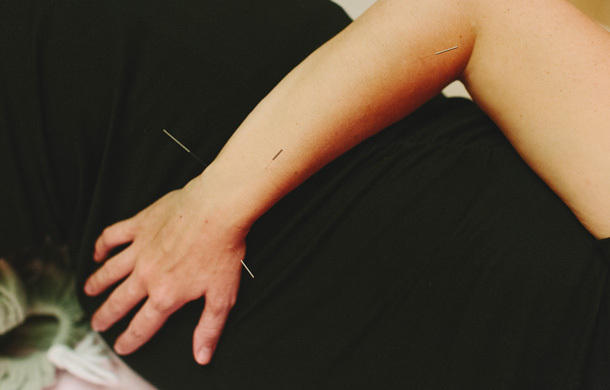 Regular acupuncture in the weeks leading up to birth can result in shorter labor times with fewer complications. During these sessions, we prepare your mind and body for labor. I recommend twice weekly acupuncture starting at week 36 for labor preparation. Acupuncture combined with a treatment called moxibustion can be beneficial for turning breech babies. Certain acupoints are used for encouraging your body to naturally go into labor. You will be given a handout with how to locate these points and massage them at home between acupuncture sessions. These same points are also helpful once labor has begun to keep things moving smoothly!